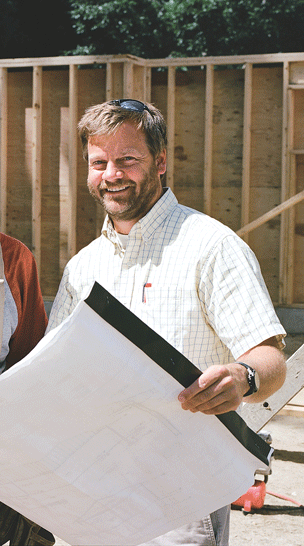 Kevin Shea (left, with Richard Morse) says Architecture EL built its extensive portfolio of projects largely on direct-design work. 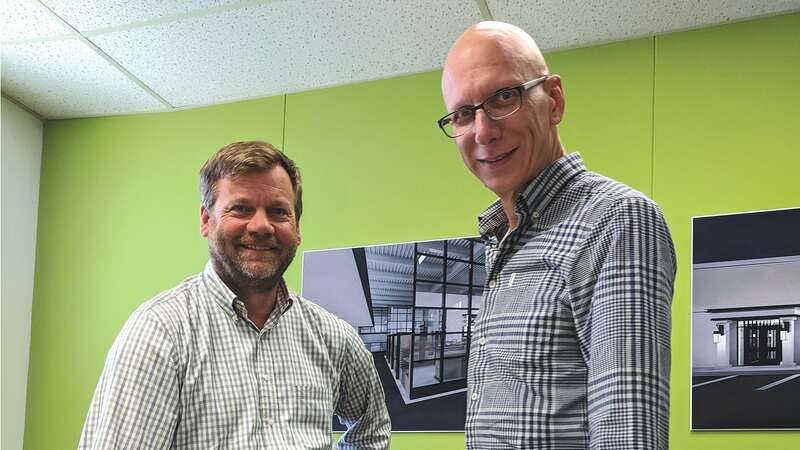 When Kevin Shea launched his own architecture firm after almost two decades working for someone else, it wasn’t exactly a great time to start a business — particularly one in a construction-related field. It was 2008, actually, right at the start of the Great Recession, which would significantly dry up building activity for the next few years. 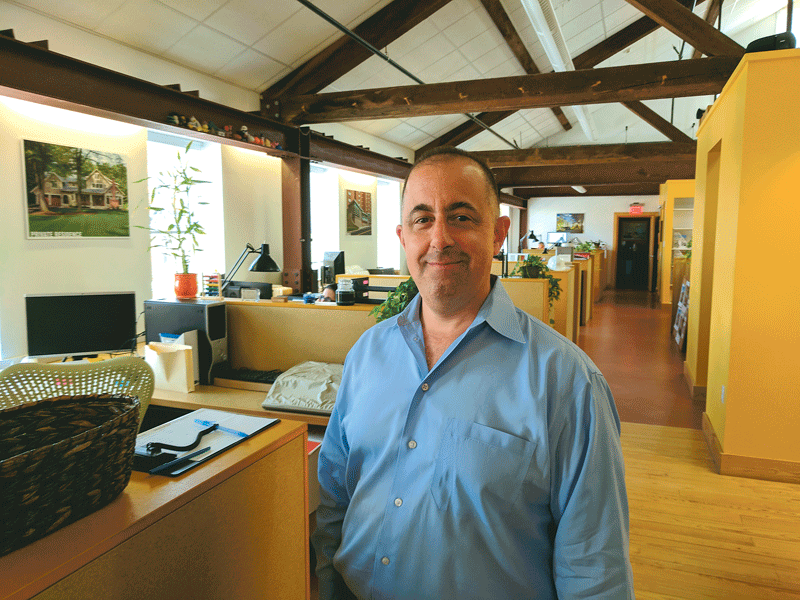 As the East Longmeadow-based firm celebrates its 10-year anniversary in October, Shea can look back at an eclectic blend of projects, ranging from affordable housing to municipal work; from a children’s museum to a country club. For example, the E. Henry Twiggs Estates, a 75-unit affordable-housing project in the Mason Square neighborhood of Springfield, is being developed by Home City Housing. “We’ve worked through phase 1 with Home City on Twiggs, and now phase 2 is almost slated to begin at the end of the year, so that’s represented a lot of our office time lately,” he said. Two of the residences in the E. Henry Twiggs Estates, an affordable-housing development in Springfield. 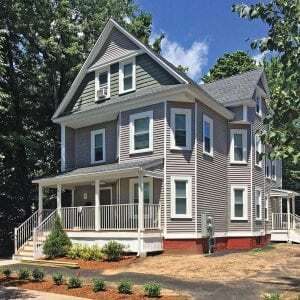 While developing a strong base in multi-family housing, Shea said his firm has built a diverse portfolio in other areas as well, with recent and upcoming projects including a childcare center in Monson, a fire-station addition in Hampden, and an accessibility project at Hatfield Town Hall, following more extensive design work several years ago on that town’s municipal offices. “You never know what we’ll be up to,” said Richard Morse, a consultant at the firm — and sometimes, the work can be very outside the box. Take, for instance, a planned project to design a veterans’ memorial on North Main Street in East Longmeadow, in front of the Pleasant View Senior Center, a stone’s throw Route 83 from Architecture EL’s office. Morse noted that the project is in the fund-raising stages, but there have already been conversations about what it will look like. Shea has always wanted to be an architect, having told the story on occasion of seeing old blueprints lying around his house as a child and being fascinated by what they represented. Architecture ended up fitting his personality, with its blend of hands-on and creative work, mechanical and artistic skills. So after graduating from Roger Williams University in Rhode Island, he took a job with a small architecture firm for 18 years before deciding in 2008 to strike out on his own. Architecture EL — the acronym stands for Environment Life — was built on the idea of direct design. 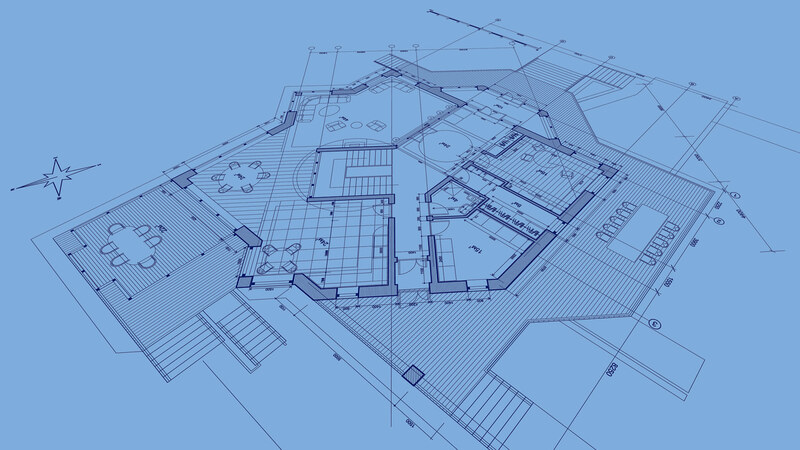 It’s more common than ever, in fact, to partner with owners and contractors in the design and construction of a building, whereas, decades ago, those elements were far more often bid separately. The firm’s recent projects include restaurants, affordable housing, municipal facilities, and many others. The ‘EL’ in the company’s name doesn’t stand for East Longmeadow, as some may assume, but, as noted earlier, for Environment Life, concepts reflected in the types of work Shea takes on. Green building was on the rise when Architecture EL was born, but it’s become in many ways standard practice, reflected in both customer demands and Massachusetts building codes. The ‘life’ piece is a more general idea, but it gets into the whole experience of a space and the specific ways it will benefit the lives of those who live in and use it, whether it’s residents benefiting from affordable housing; the kids who will benefit from an accessibility-improvement project at the Wilbraham Children’s Museum; or the employees of Marcotte Ford who work in that company’s commercial truck center, built in 2015, or its new headquarters, which opens this month. Whether designing a municipal project, a place of business, or a home — or a multi-home development — Shea has never stopped seeing his role as focusing on a client’s environment and life, and coming up with solutions that enhance both. Morse said the team is cautiously optimistic that the good times will persist. The ideas home buyers — and those looking to renovate — bring to the table can morph over time, and a few trends, including an emphasis on open floor plans and sustainable living, not to mention natural surfaces and unobtrusive, smart technology, have come to dominate today’s residential-design world. And when the end result matches the initial vision, well, that’s when a house truly becomes a home. That’s not just the first four words of the ritual brides seek to incorporate on their wedding day — it’s at the heart of another long-time commitment people make: Building a home. “People in this area are definitely more focused on recognizable regional architecture that draws on arts-and-crafts tradition, farmhouse tradition, or Victorian tradition; they like forms that are familiar to them,” said Charles Roberts, a principal with Kuhn Riddle Architects in Amherst. The homes on these pages, designed by Kuhn Riddle Architects, are examples of how today’s houses blend traditional ideas with modern space plans. Chris Jacobs, president of Barron & Jacobs Associates in Northampton, a design-build firm with a large residential-renovation portfolio, has witnessed the same trend over the past decade, with many projects focused on creating a more open feel. It’s a trend the national home-design media has pegged as well; flexible living space ranks among Architect magazine’s top three trends for 2018, driven in part by changing lifestyles and the way families want to interact today. In short, it’s all about flow and compatibility between spaces. That’s just one way modern home design has shifted in recent years. For this issue’s focus on architecture, BusinessWest takes a look at a few other ways architects and builders are creating spaces that reflect 21st-century tastes. Architect’s second big trend in home design is sustainability, and that’s no surprise; ‘green’ building, once a costly outlier in home design, still often comes with a steep cost, but is no longer uncommon. That may be even more true in Western Mass., with its reputation as an environmentally-conscious region. Beyond energy efficiency, Roberts said, homeowners are trending toward natural materials in the home, like wood floors and stone countertops, and away from plastics and formica. Meanwhile, wall-to-wall carpeting is becoming much less popular as people want to showcase their natural flooring. Jacobs said kitchens are probably the number-one target of home renovation projects he’s involved with. Bathrooms are another area where higher-end options like custom shower tile, frameless glass, and heated floors are extremely popular — when the budget allows. Of course, there’s a good reason kitchens and bathrooms get so much attention: they’re important for quality of life. Chris Jacobs says today’s building codes mandate plenty of sustainable and energy-efficient aspects, but some home buyers and remodelers choose to go beyond them. The final top trend on Architect’s list for 2018 is hidden technology, which is becoming more integrated and extensive than ever before. Homeowners enjoy being able to adjust heat and lights, preheat the oven, and perform other tasks from a mobile device. Bells and whistles are fun, and definitely something 21st-century homeowners crave, but Roberts said the most resonant ideas still revolve around the way people connect. A home can facilitate that in different ways, from an open living plan complemented by a ‘get-away’ room — an office, TV, or game room — in another area of the house, to a move toward moving master suites downstairs. For those who aren’t in the market for a new home, the past few years, with the recession well in the distance, have proven a fertile time for renovations, Jacobs said. In all, architects and builders see a positive landscape for turning trendy ideas into something new — often working from something old. “In this area,” Roberts said, “I’ve have the experience of working with all the various subcontractors putting these elements together, and I really enjoy working with all the great builders on these projects” — in other words, bringing ever-changing visions to life. President Mitch Salomon (center) and some of his team at Salomon Flooring. 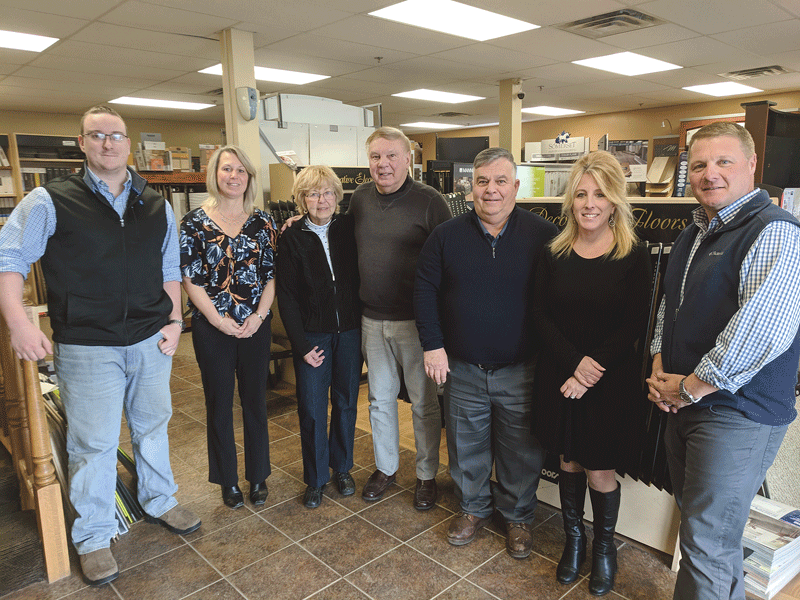 The flooring business has changed in many ways since Mitch Salamon Sr. opened his shop 75 years ago, with an array of products he couldn’t have envisioned. But other elements haven’t changed at all, say today’s second- and third-generation leaders of the company, from the importance of punctuality to helping customers work within their budget, all of which has helped Salamon build a roster of repeat customers in some of the area’s most important industries. Visit Sarat Ford Lincoln in Agawam, Ford of Greenfield, or Balise Hyundai of Springfield, and chances are you’re walking on a surface installed by Salamon Flooring. Since 2014, in fact, the West Springfield-based company has completed six-figure jobs at those dealerships, plus Curry Honda in Chicopee, Balise Ford in Wilbraham, Prime Hyundai in Rockland … the list goes on. Assisted-living centers — which are also seeing a building and renovating boom, thanks to the largest population over age 65 in the nation’s history — are another strong niche for Salamon, with recent flooring jobs including Linda Manor in Leeds and Stonebrook Village in South Windsor, Conn., and several others now underway. Today, with 36 installers in the field and an office staff of nine, Salamon Flooring continues to build on its name, and its key niches. Major school projects in the past five years include a half-million dollars worth of work at UMass Amherst, plus jobs at Pioneer Valley Christian School, Baystate Academy, Bay Path College, Chapin School, West Springfield public schools, Wilbraham & Monson Academy, and Springfield Technical Community College. Then there are the medical facilities — including Riverbend Medical Group, Baystate Medical Center, Mercy Medical Center, MedExpress, AFC Urgent Care, and other large practices. Meanwhile, recent government projects have included four naval bases around New England and Veterans Administration facilities in Northampton and Bedford. Popular products these days include broadloom carpet, carpet tile, luxury vinyl tile (LVT), vinyl composite tile (VCT), hardwood flooring, granite, ceramic tile, and sheet vinyls. Products like LVT, VCT, and sheet vinyls, he explained, offer more durability than traditional vinyl products while providing a realistic wood or tile appearance. The majority of customers today are looking for long-term durability, he added, whether to protect a floor from dog claws and heavy use by kids, or due to a high-traffic location in, say, a retail store or car showroom. From left, Carol Salomon, Mitch Salomon, Mark Salomon, and Karen Salomon Shouse represent the second and third generations of company leadership. Commercial clients are increasingly choosing LVT as well, Mitch said, particularly high-traffic facilities like hospitals, healthcare practices, and assisted-living centers, for its blend of durability and a more pleasing appearance than traditional vinyl tile. Part of a product’s durability stems from the surface preparation and moisture mitigation Salamon offers. Mark added that ever-expanding options in materials makes it easy to “value engineer” a job that meets the client’s needs within his or her budget. That’s partly because of the legwork Salamon completes well before it shows up on a job site, from the products to be used to a list of workers preapproved to work in certain settings — including background checks for military bases and CORI checks for school settings. Another important element of working with general contractors is making sure punchlist items are resolved immediately, thus preventing delays in the schedule. And he appreciates contractors with a similar emphasis on punctuality. The company has been a community fixture in more ways than installing floors throughout the region. Among its charitable efforts, Salamon Flooring and Salamon Realty, another family business, donated funds last year to the West Springfield Fire Department to purchase a utility task vehicle from Springfield Auto and Truck. The emergency vehicle was put into use at the Big E in September and made 63 runs there. With its smaller size, it’s able to navigate through large crowds and access areas of the fair that would be challenging to reach with an ambulance. It is also used to reach emergency situations in Mittineague Park, the Bear Hole Watershed, and other places. 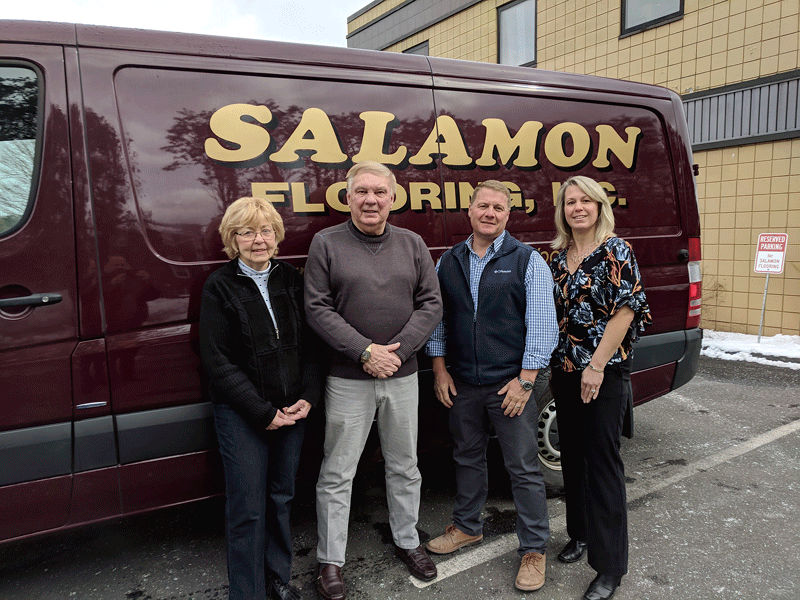 As for its flooring business, the Salamon family plans to be a local fixture for the foreseeable future. While Mark and his sister, Vice President Karen Salamon Shouse, represent the third generation of company leadership, they won’t be the last; Mark’s son, Beau Salomon, is a student at UMass Business School, but comes to work during summer vacations and other breaks, and sometimes on the weekend when needed, with every intention of coming on board full-time after graduation. Jonathan Salvon says Kuhn Riddle continues to make its mark on area colleges. While national forecasters are predicting a slight slowdown in the construction industry, area architects report a healthy flow of projects in the pipeline, and they see that trend continuing for the foreseeable future. Even during tougher economic times than these, Jim Hanifan says, communities still have to maintain — and often rebuild — their schools, libraries, police stations, and municipal offices. Colleges and universities keep building too, said Jonathan Salvon, a principal with Kuhn Riddle Architects, and his firm has certainly reaped the benefits. For instance, the firm is in the planning stages on two UMass Amherst projects, and has also performed a variety of work at Smith College, most recently an intriguing conversion of an historic boathouse into studio space for students of dance. “That’s an interesting site,” Salvon said, and makes creative reuse of an existing space — a hallmark of New England, where there’s plenty of existing building stock but not as much land and opportunity to design and build new structures. The architects BusinessWest spoke with for this issue uniformly reported a healthy pipeline of projects this year, which belies a cloudy national forecast for the construction industry. After projecting 6% growth in construction spending in 2017, the American Institute of Architects (AIA) adjusted that to 4% at midyear, and expects that slower pace to continue into 2018. 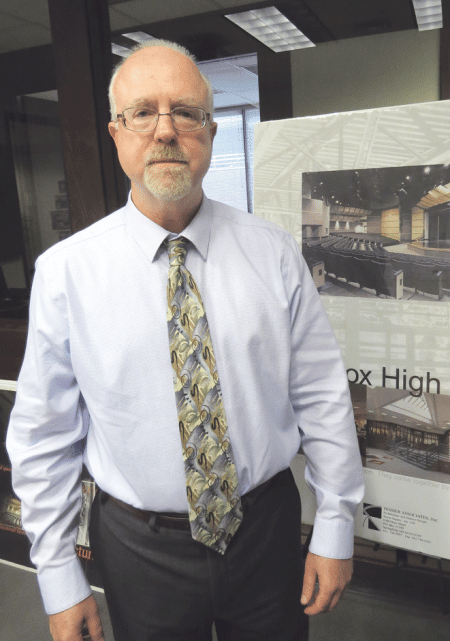 That’s certainly true at Architecture EL in East Longmeadow, which is so busy, principal Kevin Rothschild-Shea called the pace of projects a double-edged sword — but one he’s happy to face. For this issue’s focus on architecture, these regional players explain why they’re optimistic, not just for this year, but beyond. Other projects the firm has recently tackled include Easthampton High School, Dupont Middle School in Chicopee, and, at the university level, academic and residential buildings at UMass Amherst. The company has also worked on the Little River fire station in Westfield, recreational fields in Agawam, the Chicopee public-safety complex, new branches of Polish National Credit Union and Arrha Credit Union, and a new senior center and police station in West Boylston. Edgin said the more the firm works in one niche — senior centers, for instance — the more its reputation grows in that area, and it becomes easier to kand similar jobs. Caolo & Bieniek Principals, from left, Curtis Edgin, Jim Hanifan, and Bertram Gardner. Beyond its healthy niche in higher education, Kuhn Riddle is currently tackling two early-education facilities — Belchertown Day School is moving and Children’s First Enterprises in Granby is expanding — while taking advantage of a rebounding housing market, moving from multi-family projects into more high-end, single-family homes, a niche that dried up during the Great Recession. Salvon is equally gratified by what seems like a healthy outlook ahead. 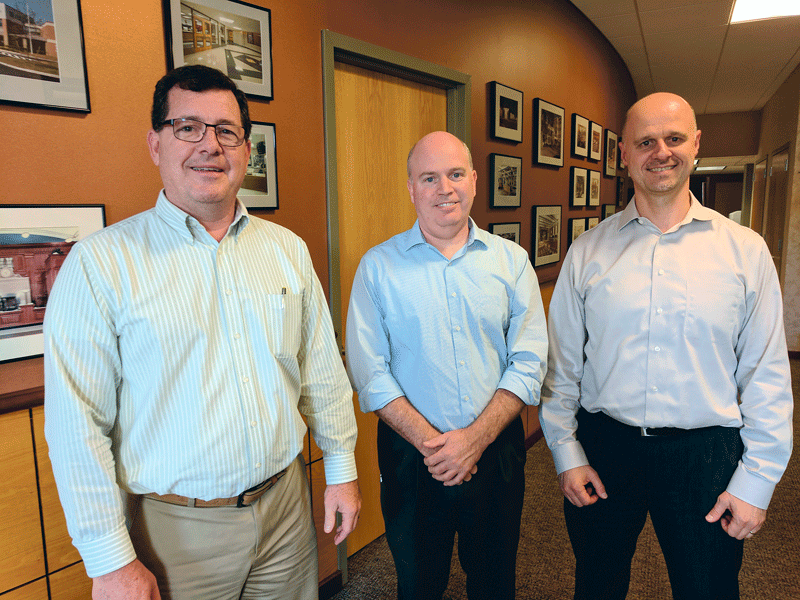 Caolo & Bieniek has seen a different sort of growth this year, forming a union with Agawam-based Reinhart Associates, which also has a strong track record in municipal work. That said, he and his partners also keep an eye on industry trends, aiming to ensure they remain on the cutting edge at a time when bank branches, senior centers, medical offices, and police stations are designed a lot differently than they were a 20 years ago. And those projects keep on coming. After all, there will always be a need for the next school, library, or senior center. 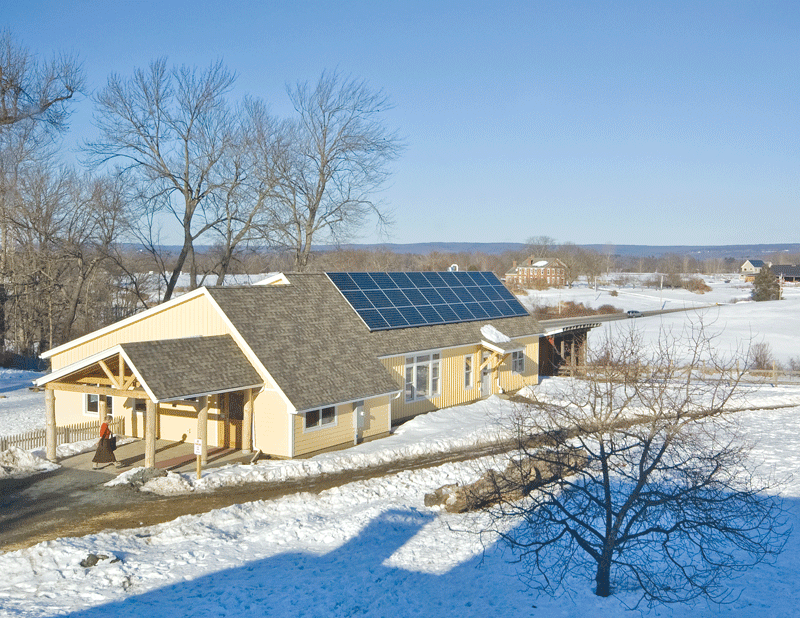 The homes at the Pioneer Valley Cohousing community are tightly clustered around a pedestrian loop, fostering informal social interactions and preserving open space on the rest of the site. It’s no understatement to say Laura Fitch has dedicated her life to the philosophy of cohousing — not only through her architecture career, but because she has lived in a cohousing community for nearly 20 years. The model, which encourages togetherness and elements of both private and communal living, is becoming more popular among young families, retirees, and students, making it an ideal opportunity for intergenerational connection. It’s hard to miss Fitch Architecture & Community Design’s Amherst office. The space is nestled inside a sun-drenched building at the entrance of Pioneer Valley Cohousing, a 22-acre stretch of private homes clustered around a communal space. Laura Fitch, a principal with the company, helped design the community, which has garnered attention as the East Coast’s first cohousing development. Fitch herself has lived in Pioneer Valley Cohousing for nearly 20 years. A past board member of the Cohousing Assoc. of the U.S., Fitch first learned about cohousing during a trip to Denmark in 1980, the country where the concept was first developed. That knowledge was followed by a stint with Peace Corps in Mali, West Africa in 1984, an experience that built in her a desire to seek out socially and ecologically responsible projects — and which partly explains why cohousing has become the heart and soul of her firm. 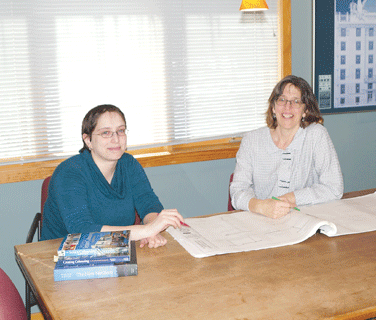 Laura Fitch (right, with intern architect Aviva Galaski) says cohousing builds community ties that can enhance the health and well-being of residents. Houses in most cohousing communities range anywhere from 600-1,400 square feet. A complex typically includes a shared community room, where group meals are served several times a month, prepared by community members on a rotating basis. At Pioneer Valley Cohousing, members are encouraged to eat together twice a week. A 4,200-square-foot common house includes a communal multi-purpose room, commercial kitchen, children’s playroom, two guest rooms, and additional recreational space. 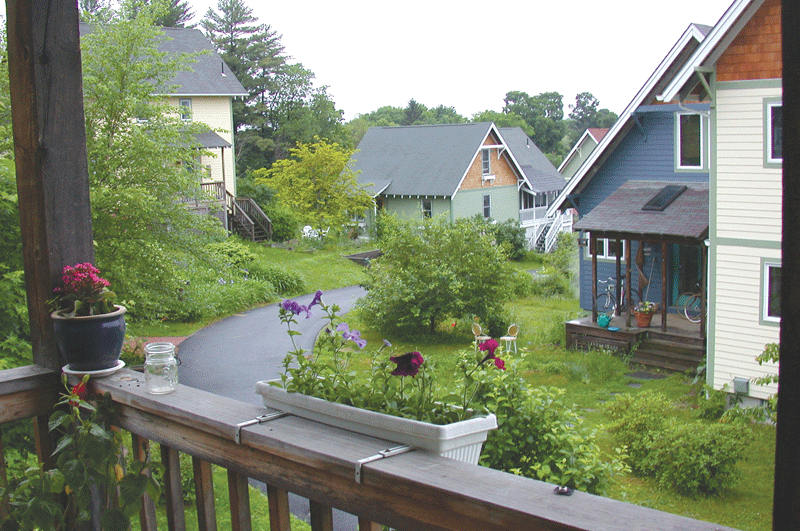 Cohousing members are expected to participate in the work that needs to be done to keep the community running smoothly, and Fitch relies on what is called an ‘affinity work system.’ That means she ensures every member pitches in by giving them the option to choose a task they’d like to complete that will benefit the community as a whole. Fitch’s husband, for example, helps with the members’ plowing each winter. For this issue and its focus on architecture, BusinessWest talks to Fitch about why the cohousing model is an ideal choice for certain people, and how she has crafted a career around her long-time passion for community. Since the first cohousing community was completed in the U.S. — Muir Commons in Davis, Calif., which recently celebrated 25 years — more than 160 such communities have been established in 25 states plus the District of Columbia, with more than 120 in process. Most cohousing communities are intergenerational, with both children and elders; in recent years, senior cohousing focused on older adult needs have grown. Small and large, urban and rural, newly built and retrofits, these communities have consistently been at the forefront of environmental and socially sustainable neighborhoods, according to the Cohousing Assoc. of the United States. Cohousing units are intentionally designed to feel welcoming and comfortable to surrounding neighbors, so they may freely stop by each other’s homes to converse, share resources, or help watch young children. That said, families living in such proximity also have the potential to conflict. Fitch preemptively mitigates potential arguments by encouraging open lines of communication with fellow neighbors and peaceful negotiation. The complex also designates a ‘community life issue member’ who can facilitate classes for non-violent conflict resolution. Young families, single working parents, retirees, professionals, and even students are among the demographics typically attracted to cohousing. Fitch believes cohousing offers a desirable model, one that is universal for people from all walks of life who, simply put, seek togetherness. 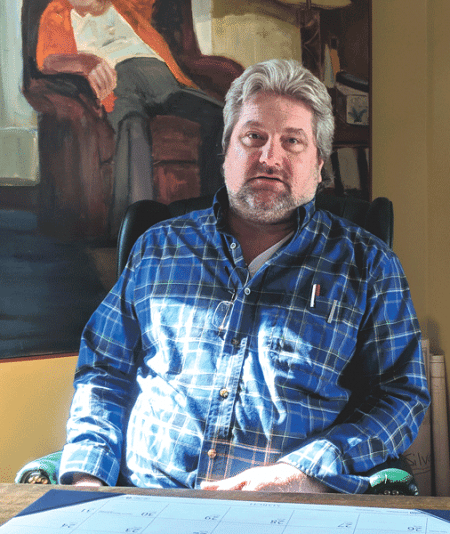 “If you went to summer camps, enjoyed undergrad time in dorms, if those were things you liked when you were younger, then I always tell people, you can naturally understand what it’s like to live in cohousing,” Fitch said. She sees the senior cohousing movement exploding across the U.S. and believes that this trend will continue to grow in the coming years as a better alternative to costly assisted-living facilities or elderly people living in isolation. In addition to the social issues central to the design of a cohousing community, the ecological concerns of sustainability are a primary focus for cohousing groups. Many groups include sustainability as part of their vision statement, and Fitch’s firm has helped them to reflect these goals in the built community. In general, she explained, site design is sensitive to land use. The buildings have solar access, and energy-efficient construction practices are employed. Materials and systems are specifically selected to minimize ecological impact and maximize indoor air quality. 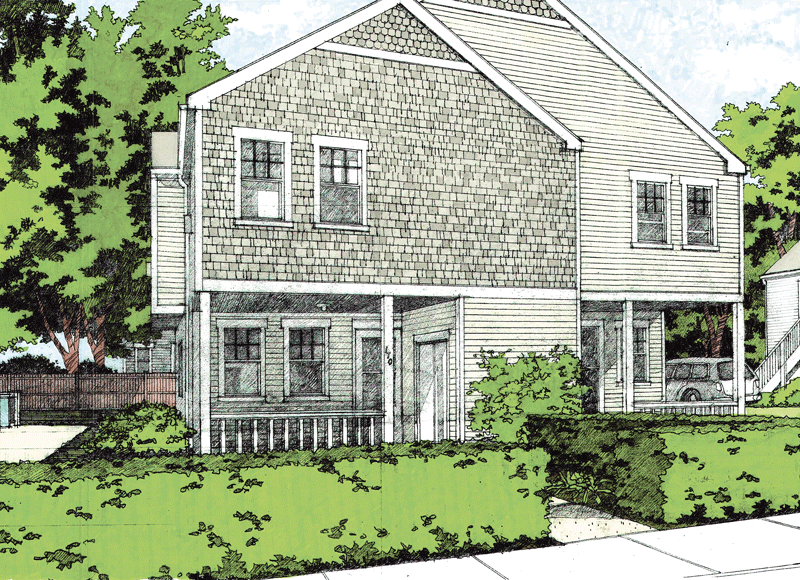 Units have front porches, which provide a bridge between public and private spaces in a cohousing community. Meanwhile, the houses are scaled to ensure they’re friendly to pedestrians. Fitch’s specialized focus on sustainable design has earned the firm a spot in Natural Home & Garden magazine as one of the top 10 green-architecture firms in North America. “People are recognizing now that it makes business sense … if you invest enough to reduce mechanical costs, that’s where you get to the sweet spot,” she said. 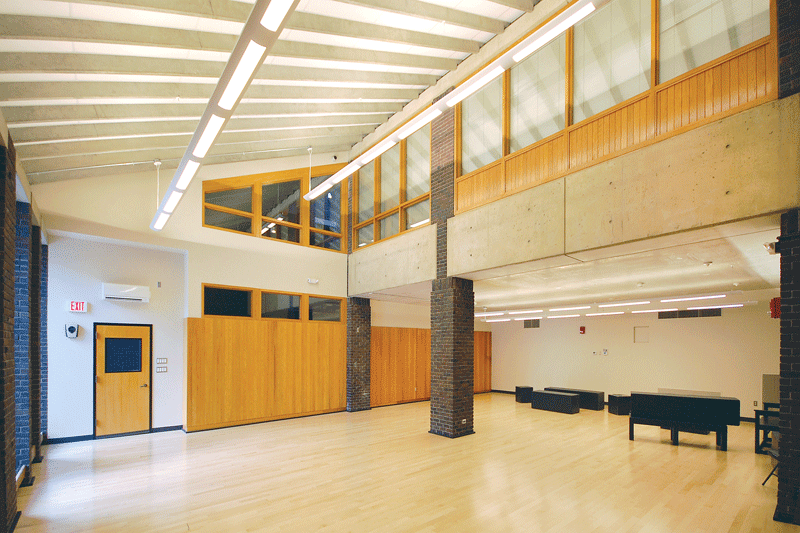 The new theater studio at Smith College was created by capturing space from a large and underutilized lobby at the Mendenhall Center for Performing Arts. Fitch and her team have led hundreds of residential, commercial, and institutional projects, including net-zero-energy homes, educational facilities, and deep-energy retrofits. In 2013, the firm received a Historic Preservation Award from the Northampton Historical Commission for its work at Smith College’s Dewey House. The 1827 building needed significant upgrades, so, after completing an initial feasibility study, Fitch’s firm was asked to complete full services for energy improvements and a new exterior lift. Working with energy consultants, it ultimately achieved a 65% reduction in air infiltration. Meanwhile, the Hartsbrook School, a Waldorf educational facility in Hadley, chose to work with Fitch and her team for a project focused on creating a new early-education building. The new classroom building at the Hartsbrook School. But cohousing remains Fitch’s calling card, and she has earned national accolades for her work in this field. Alice Alexander, executive director of the Cohousing Assoc. of the U.S., calls Fitch a “real pioneer” in getting the nationwide cohousing movement off the ground. One of Fitch’s best ideas so far? An outdoor ping-pong table at the cohousing development she calls home. It’s just one more way she has made a career — and a life — out of creating connections and community. WASHINGTON, D.C. — Nearly three quarters of U.S. architects say the health impacts of buildings are influencing their design decisions. That finding parallels a strong market demand by building owners, with a solid two-thirds surveyed also reporting that health considerations affect how they design and construct buildings. These findings and others were featured in a new report, “The Drive Toward Healthier Buildings 2016” by Dodge Data & Analytics, in partnership with Delos and the Canada Green Building Council, and with the participation of the American Institute of Architects (AIA) as a critical research advisor and partner. The report documents the value and need for more of the research, education, collaboration, and outreach efforts that are hallmarks of the AIA’s Design and Health initiative. Since 2013, AIA has invested in expanding the body of knowledge on the connection between design and health, including professional continuing education and the 17-university Design & Health Research Consortium. “As a society, we spend nearly 87% of our time indoors,” said AIA Chief Executive Officer Robert Ivy. “Designing and constructing healthy buildings is crucial to our own well-being. According to the report, the top five healthier building features implemented by architects include better lighting and daylight exposure, products that enhance thermal comfort, spaces that enhance social interaction, enhanced air quality, and products that enhance acoustical comfort. Use of nearly all of these is expected to grow considerably along with further pioneering approaches like the use of biophilic design features, spaces that enhance tenant mood, and opportunities for physical activity, the report found. • Most owners are not aware how healthy building investments result in business benefits like leasing rates (52%) and asset values (58%). However, among those that report an effect, 73% report faster rates, and 62% report higher values. • According to architects and interior designers, the top driver for greater investment in healthier buildings is improved public awareness of the health impacts of buildings. • Public-health professionals report that the most common policies currently in place to support healthier building practices are requirements to avoid the use of hazardous materials in buildings (65%). The key policy areas that are currently being considered include incentives that encourage physical activity (47%) and requirements for ongoing building air-quality measurement (46%). • Ninety-two percent of public-health professionals also report that their institutions are actively conducting research on the influence buildings have on occupant health and well-being. • Architects are most aligned with their clients (owners) when it comes to understanding the goals of healthy-building investments, as compared to other industry players, recognizing that improved tenant/employee satisfaction and happier and healthier occupants is the primary focus for owners related to their investments. • The largest percentage of owners, at 42%, identify that they are very interested in partnering with architects to help increase their ability to implement healthy-building practices. While low, it is notably more than the next two highest potential partners — facility managers and educational institutions, both at 31%. The report also received key support from CBRE, Dewberry, and the U.S. Green Building Council, with additional support from Armstrong Ceiling Solutions and the Regenerative Network. Other organizations that participated in the research process include the American Society of Interior Designers, the National Assoc. of Real Estate Investment Managers, and the World Green Building Council. This article was prepared by the American Institute of Architects, which works to create more valuable, healthy, secure, and sustainable buildings, neighborhoods, and communities. Tessier Associates has been in business since Warren Harding was in the White House and Prohibition was the law of the land. No architecture firm can survive that long — and through all those twists and turns in the economy — without being resilient and resourceful, and the Tessier firm has been both. In recent years, for example, it has been diversifying its portfolio, complementing a dwindling amount of public-school work with projects in higher education and other sectors, and now has a steady supply of work in the pipeline. 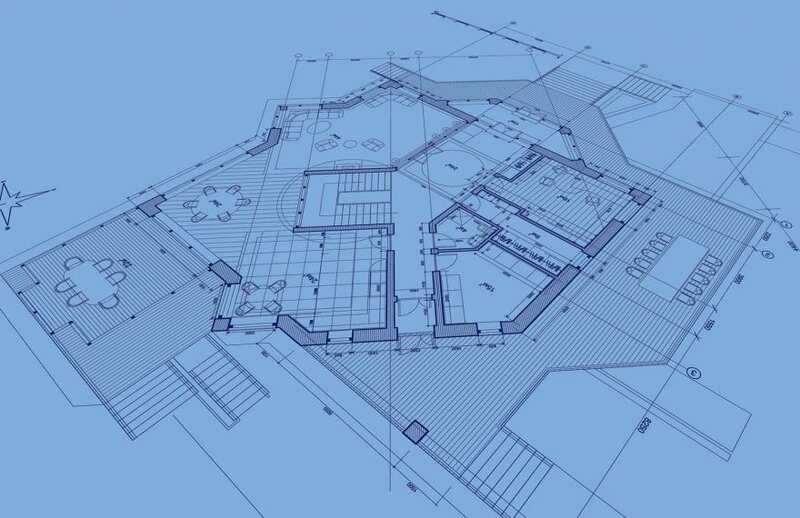 The photos, sketches, and blueprints adorning the front entranceways and conference rooms at architecture firms usually tell a story — or, to be more precise, a big part of the story. Indeed, collectively, these images become a highly visible, although not always organized, chronicling of a company’s history, examination of its portfolio, and window into its past, present, and, in some ways, its future. This is definitely true at Tessier Associates, the nearly-century-old firm that has long been doing business out of a large storefront on the second floor at Tower Square in downtown Springfield. The photos in the front lobby and hallway leading to the production areas speak to the company’s proud history, which has included everything from dozens of school projects to a number of new churches and a host of commercial buildings, including bank branches, which became a prolific niche for a number of years (more on that later). The main conference room offers more of the same, but specifically a look at more recent history — and a very necessary diversification of the portfolio to reflect changing times when it comes to designing new public schools, additions, and renovations. “It’s much more difficult to get school projects today. There are fewer of them out there, and the selection process is now out of Boston — the rules have changed,” said Robert Stevens Jr., long-time principal with the company, noting that, while local school systems once did the hiring of an architect for a project, now those decisions are the purview of the Mass. School Building Authority. This explains why the conference room still features photos and drawings of some of the firm’s school projects — including Lenox Middle/High School, which actually dates back to the late ’90s, and Hampshire Regional High School, newer work but still more than a decade old — but far more wall and easel space is now devoted to work with area colleges and businesses, which have become a far larger and more reliable pipeline of projects. There are several images, for example, of a new dining commons being planned by Western New England University. 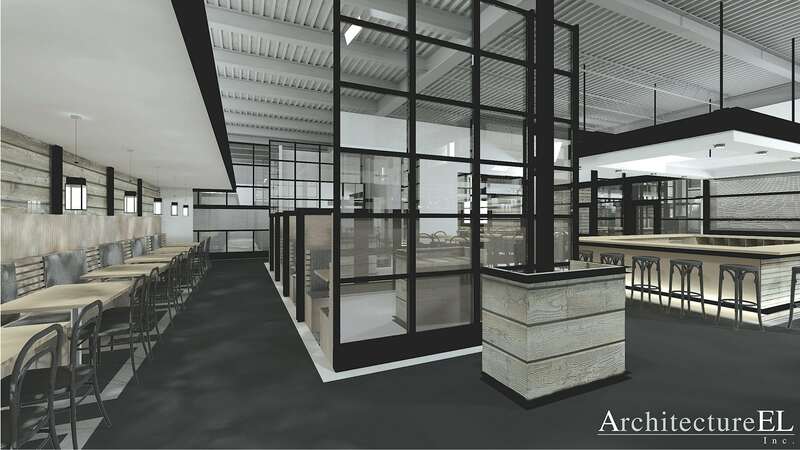 Curved, and featuring large amounts of glass and a host of different and unique dining areas, the structure currently taking shape on the drawing board reflects a heightened interest in food and food service at institutions of higher learning, said Stevens. The walls tell of other recent projects at Bay Path University and Springfield College, and also the Big E, which is exploring possible renovations to several of its historic buildings, including the coliseum (see related story, page 6). Stevens noted that such private-sector work is both necessary and, at the moment, at least, steady enough to keep the firm busy and in a contemplative mode when it comes to expansion and bringing on more staff. One of the Tessier firm’s renderings of the planned dining commons at Western New England University. Still, like many in businesses across virtually every sector of the economy, Tessier has some doubts about the staying power of the current expansion, if one chooses to call it that, and noted that there are risks to bringing on more staff, especially in a sector as vulnerable to swings in the economy as this one. He believes the economy is improving, but, like most others, would like to see more solid evidence that the upswing is real. 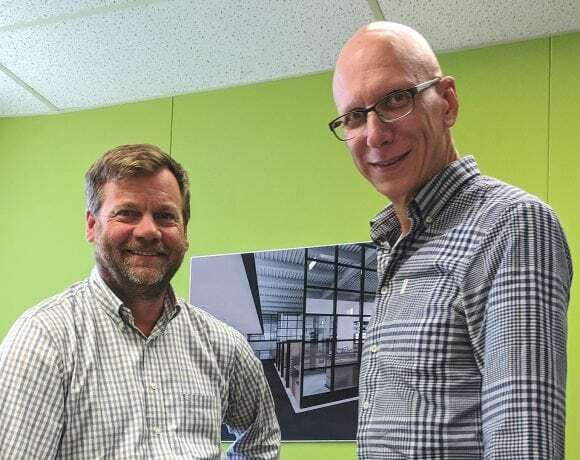 For this issue and its focus on architecture, BusinessWest takes an in-depth look at … well, the walls and easels at Tessier Associates and at what they reveal about where the company has been, and where it’s going. Tracing the history of the company, Stevens said it was started by Henry Tessier in 1923, who was still working part-time when Stevens joined the firm in the mid-’80s. Under the tutelage of Tessier and later his son, Bob, and fellow partners Doug Engebretson, who retired in 2012, and Stevens, the firm developed a number of niches within the broad realm of architecture, including everything from churches to those aforementioned bank branches. The former remains a source of some work, said Stevens, noting that the portfolio includes several projects in this category, including the new Immaculate Conception Church in Holyoke, St. Patrick’s Church in Springfield, Nativity Church in Holyoke, and Holy Name Church in Springfield. As for those bank braches, they were a solid source of work decades ago as area institutions sought to develop a presence in many of the emerging suburbs. “There was a period of time just after I came here when we really did nothing but bank branches,” he said, noting that, in those days — and perhaps not so much now — architects could, and did, get creative with design of the teller lines and other elements of those structures to give them individuality. But the firm’s main bread and butter starting in the mid-’80s was public-school projects, said Stevens. The portfolio includes initiatives across this region and beyond, with most of them in response to growing populations and/or a need to replace or modernize aging infrastructure. The list includes additions and renovations at Frontier Regional School in South Deerfield, Commerce High School in Springfield, and JFK Middle School in Northampton, as well as new construction at Quarry Hill Elementary School in Monson and Grafton Elementary School in Grafton, among many others. But by 2004, the pipeline of school projects dwindled to a trickle as the state all but stopped funding schools and changed the formula for how such initiatives were funded. By the time conditions changed and money started flowing more freely, the selection process for architects had changed, adding another layer to the challenge of landing such projects. The last one the firm handled was Hoosic Valley Regional Middle and High School in Cheshire in 2012. With school work dwindling and prospects for improvement in that realm dim, the firm has done what it has always done since Warren Harding was in the White House and Babe Ruth was leading the American League in home runs, said Stevens — create a diversified portfolio and adjust its focus to where the work happens to be at a given time. Indeed, an architecture firm cannot survive 93 years and an untold number of economic twists and turns, including both the Great Depression and Great Recession, without being flexible, resourceful, and resilient, and the Tessier firm is deserving of all those adjectives. Recently, for example, the firm has garnered a number of projects in higher education, tapping into one of the pillars of the region’s economy. Perhaps the signature initiative in this realm is the $30 million Center for the Sciences and Pharmacy building on the Western New England University campus, undertaken in 2009. “That was a significant project for us, coming right after the recession,” Stevens explained. But there have been many others, including several projects at Bay Path University, including, most recently, renovation to some of the science labs. There has also been work at Springfield College, Elms College, and other schools. 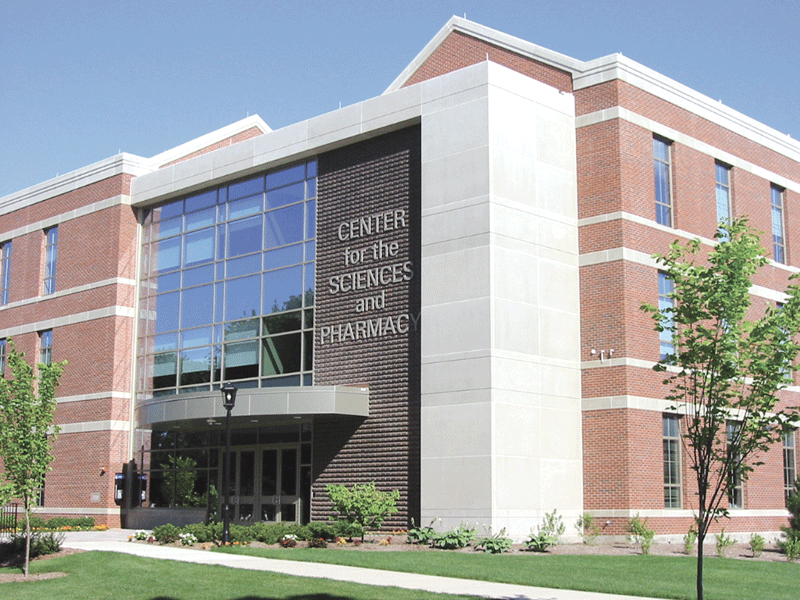 The Center for the Sciences and Pharmacy building at Western New England University is one of Tessier’s signature projects. Meanwhile, there have been other forms of commercial work, including an office addition and renovation project for UniFirst Corp., a Wilmington-based supplier of uniforms and provider of related services that has a facility in Springfield, as well as another site in New York that the Tessier firm is also working on. Those projects and others have provided Stevens with a sense that the economy is improving, that business owners are becoming more confident about the immediate future, and that this scenario may continue for some time. And this sentiment wasn’t present in the years immediately after the Great Recession, even when analysts were saying the economic picture was brightening and businesses in many sectors, including those in the broad realm of construction, should see some trickle-down. “Things were questionable in the few first years after the recession ended — I would hear that the economy was improving, but we weren’t feeling it,” he explained. “But at this point, it seems like there’s more activity. This is what he tells builders who will call and ask him what he thinks and what he knows — calls that come often, because, historically, architecture has been an accurate barometer of the economy; when firms are busy, that’s a good sign, and when they’re not … well, no explanation needed. Tucked in a corner of the Tessier firm’s conference room is an aerial photo of the Elms College campus, complete with the wellness center the company designed. Stevens couldn’t pinpoint the date of that project, but did know that it was some time ago. That was an acknowledgement that what’s on the walls and easels of such firms don’t exactly (or always) reflect current events. But those items tell a story, or, as noted earlier, the story. In this case, it’s one of a history of creativity — both on the drawing board and in business itself — and resiliency. In other words, Tessier has developed a blueprint for surviving and thriving in changing times. Kevin Rothschild-Shea at a residential project site. Kevin Rothschild-Shea launched his architecture firm seven years ago, just as the economy was starting to sour. But, though a combination of diversity, flexibility, and a commitment to service, he has seen his business not only survive, but grow. It helps that he’s got a number of what he calls “socially responsible” jobs under his belt, as he has a passion for working with clients who serve people in need. 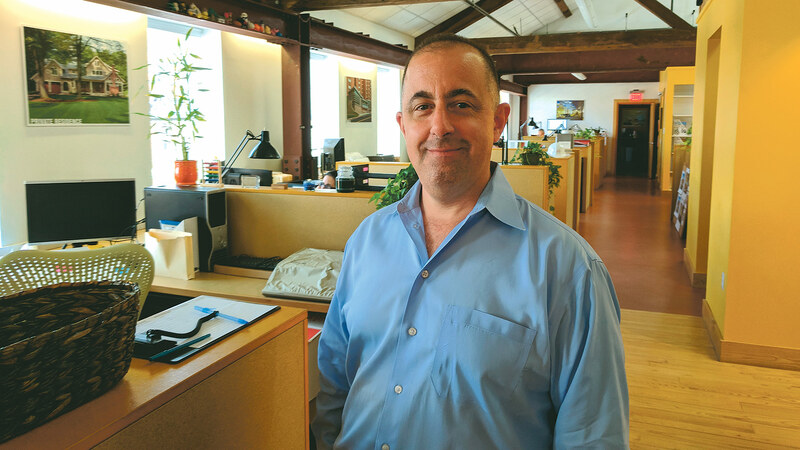 Kevin Rothschild-Shea has designed buildings for a wide variety of residential and commercial clients, but he takes particular pride in projects with a social benefit. Take the child-care center his firm, Architecture EL, designed in Chicopee for the Valley Opportunity Council. “They’re very excited to see a new building replacing a very small, old, out-of-date structure,” he said of the partially state-funded project. “For us, it’s a nice little job, but for them, it’s a big project that’s been a long time coming. Rothschild-Shea uses the word ‘fortunate’ often, occasionally applying it to the success of his own company, which he launched in 2008, into the teeth of an economic meltdown, followed by a lengthy recession. But he says he’s happy to be very busy today. 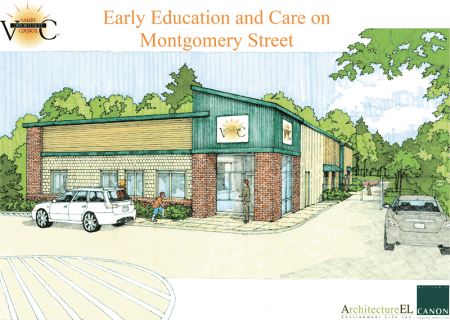 A rendering of the new Valley Opportunity Council early-education center in Chicopee. Meanwhile, the industry — reflected in both customer demands and Massachusetts codes — is increasingly making green-friendly building the standard, not the rule, he said. “The codes require pretty high-performing buildings as a baseline. But from there, we always want to do better. Rothschild-Shea has weathered varying economic climates, he said, by focusing on personal service — working closely with clients from design conception through construction and occupancy — but also on flexibility and diversity, taking on most any type of proposal. “We are pretty diverse for a small practice — everything from small studies and accessibility projects and single-family additions and renovations right on up to significantly scaled commercial and residential work,” he said. As part of the Ford’s ‘landmark design’ program, Rothschild-Shea’s firm will also handle Marcotte’s next job, which is giving its main showroom a facelift, expanding some office space, and completely renovating the service center. A rendering of one of the affordable-housing units at the E. Henry Twiggs Estates, a Springfield project set to begin construction in 2016. Architecture EL also designed Hatfield’s town offices, with an opportunity to bid on additional work coming up in the next year or two. 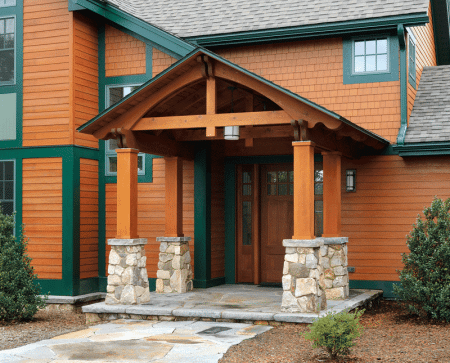 The firm designs plenty of residential work as well, including a recent project on the Connecticut River for a retired couple, replacing a small cottage. “For me, whether I’m designing a house or a service center, success lies in coming up with solutions — whether it’s creating an economical space, or one that’s energy-efficient, creative, comfortable, whatever. It’s taking the physical constraints and the site constraints and massaging that into a successful solution. It’s easier to focus that passion on each job now that the economy has improved, the construction industry is warming up, and architects are focused on more than survival. Meanwhile, phase two of the Twiggs project is coming online as well — just one more opportunity for Rothschild-Shea to do well for clients that are doing good. 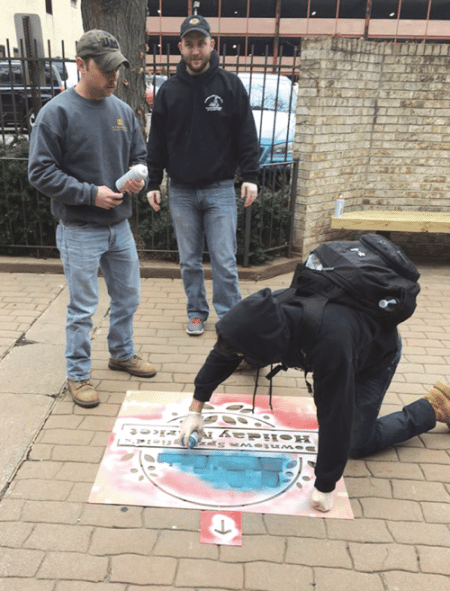 The spray-chalk displays drawing people to the Holiday Market are one way to make an impact downtown with little cost. Frank Sleegers wants his classroom to extend far beyond the UMass campus. “For these students, it’s not just the work they do to get grades, but they actually care about what they do; they see their work is important and can make an impact,” said the urban design professor at UMass Amherst. He was speaking of a recent project by a group of landscape architecture students, who worked with the Springfield Central Cultural District to improve the downtown pedestrian walkway known as Market Place and attract more activity there. Morgan Drewniany, director of the Cultural District — an organization launched in 2014 to cultivate arts and activities and generate interest downtown — said the student “interventions,” as she and Sleegers called the work, involved bringing light to Market Place with paper lanterns and using spray-chalk designs on downtown sidewalks to get people thinking, and talking, about Market Place as a destination. The short-term project was intended to coincide with the opening of the Downtown Springfield Holiday Market, a joint project of the Springfield Business Improvement District (SBID) and the Cultural District intended to boost retail sales downtown during the holiday season by bringing artists and vendors to spaces located between 1331 and 1391 Main St. and throughout Tower Square. Market Place, also known as Market Street, is a pedestrian-only walkway running parallel to Main Street from Falcons Way to Harrison Avenue. A bustling space in the days of Johnson’s Bookstore, today, the walkway typically gets little use except as a cut-through between the downtown towers and the MassMutual Center. 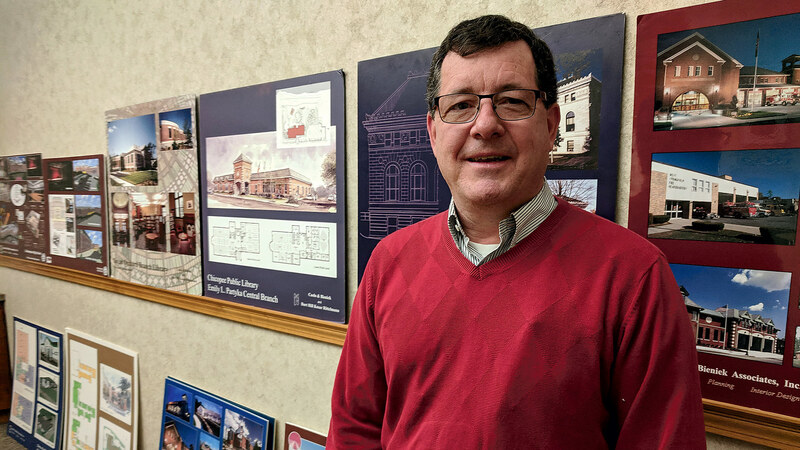 Drewniany said Sleeger’s students had been working on city-improvement ideas for several years through the Office of Planning and Economic Development, a partnership supported with a small Community Development Block Grant. Since its formation, the Cultural District now oversees the projects, which typically take place twice a year, during the fall and spring semesters. Sleeger said the Springfield projects usually involve undergraduate students in the fall and graduate students in the spring. Indeed, last spring, students from the UMass Graduate Urban Design Studio — after consulting with Springfield residents, city Planning and Economic Development officials, the Cultural District, Focus Springfield, small entrepreneurs, and Putnam students — staged six installations throughout downtown Springfield using what Sleegers calls ‘tactical urbanism,’ an emerging form of urban design that seeks to enliven cities with temporary interventions that are inexpensive and easy to install. For discussions of longer-term improvements, students have worked with entities ranging from planning officials to the SBID to DevelopSpringfield. In one project, they developed ideas to enhance safety at the X neighborhood in Springfield, aiming to improve pedestrian crossing and making aesthetic enhancements. “We’re proud of these contributions, and we have a great working relationship with the city,” Sleegers said, noting that the Springfield Design Center — which opened in Court Square in 2009 as a collaboration among UMass programs in Landscape Architecture and Regional Planning, Architecture and Design, and Agriculture — is now housed in the UMass Center at Springfield, located in Tower Square. Drewniany said she would like to see the connection between the Cultural District and UMass continue to grow. “For Springfield to continue its growth and success, we really need to capitalize on all the relationships we have, and work with students who have some real ideas to help bring us to the next level of being a really innovative city,” she said, calling her organization “economic development through arts and culture,” which includes landscape design. In a sense, those luminarias and chalk designs are just another way to light the path to that goal.